NUTTY ACT: A Rosebank macadamia farmer admitted to police he was "a di**head” after he heft the engine running on his harvesting machine and put his hand in the auger to remove some plastic. 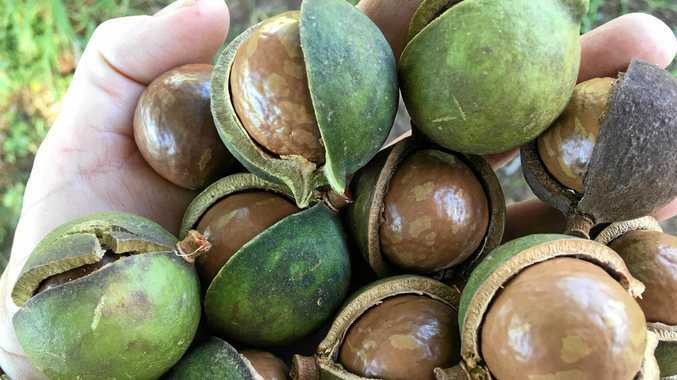 A NORTHERN Rivers macadamia farm had a lucky escape after his arm became caught in a piece of machinery. Richmond Police District Inspector Bill McKenna said officers were called to a Rosebank macadamia farm on Tuesday morning after a farmer nearly lost his arm when he tried to remove a piece of plastic which had become entangled in a harvester. 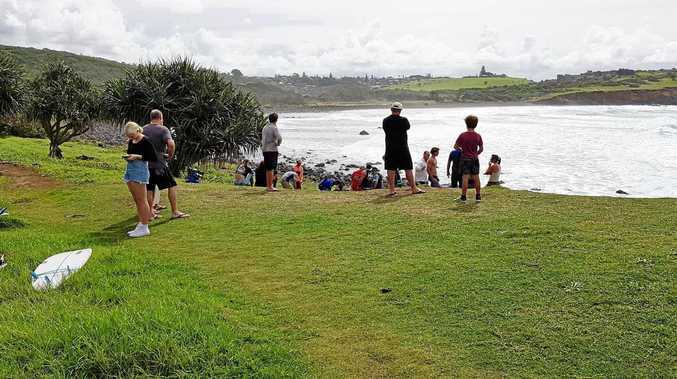 "A 65-year-old man was working on a macadamia tree farm at Rosebank on a harvester doing runs along the bases of trees when some plastic become tangled in the auger and prevented nuts going into the storage bin," he said. "The farmer left engine running while he stuck his hand in to remove the plastic when the pressure line trapped the victim's arm." Insp McKenna said the prompt arrival of his neighbours helped save the man from severe injury. "Neighbours have come to his aid and managed to take pressure of the hydraulics and rotated the auger backwards to release his arm," he said. "Paramedics were called and the victim only suffered minor cuts to his arm and he told police he was 'a di--head for doing this', as he could have lost his arm."